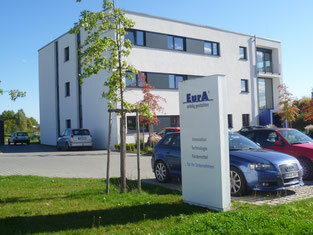 With 90 employees at the Ellwangen headquarters, as well in our German branches Hamburg, Aachen, Zella-Mehlis, Berlin, Enge-Sande, Pfarrkirchen and our branch in Porto (Portugal), EurA is one of the leading consultancies for research, development and launch of innovative products in Germany. Our clients are more than 1,500 companies and research institutions from Germany and many other European countries in all technology sectors. The main focus of our work lies on technology transfer, financing, realization and international marketing of innovative products and services, mainly supported by regional, state and European funding. Customers from SMEs and research institutes benefit from EurA in the conception and support of R&D projects and cooperation with development and marketing partners. In addition, EurA is hosting more than 30 nation-wide or international innovation networks, in which individual entrepreneurial developments and associations of the scientific economy as well as the associated financing projects are initiated and implemented. Cooperation networks in the energy sector account for a third of our cluster activities. In recent collaborations we have built up extensive networks and competences in all areas of the energy market. The connections to the individual network partners are still existing. Get an overview of our activities so far. 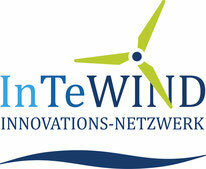 Cooperation network for the development of innovations and technologies for the monitoring, maintenance, repair, and safe operation of wind energy plants. The electricity grid of the future needs to learn thinking. 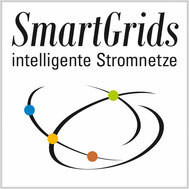 Smart Grids – intelligent electricity nets - support on the one hand the interaction of energy supply and energy demand and, on the other hand, the integration of renewable energy production. The major goal of the network is the storage of electrical power from renewable sources. This serves to act as balancing energy to stabilize the power grid with the aid of modular hydrogen power plants. Innovative production of special-purpose glasses for the photo voltaic industry. Development of a total system (geo + solar) with open interfaces to other energy generation and consumption systems. of the usage-chain, any remaining material will be converted into solid, fluid, or gaseous energy mediums and stored as necessary. bioMastecDanube is an extension of the biomastec network. This network is composed of partners from research, industry, and topic networks from the Donau region with the common goal of conducting R&D projects with German peers. The primary task involves strengthening the international connection along the entire value-chain. The network „resource-efficient transformation" should empower the partners to circumvent transformations that, through future demands, yield resource efficient manufacturing processes. The focus of this network is the material and thermal energy storage. There is still a great need for research in these areas. Topics on other energy storage types, e.g. mechanical and chemical storage, will be handled as well. commercial and technological possibilities of regenerative-generated methanol and using them as a chemical method of energy storage. with a focus on excess power from PV and wind sources. Energy Innovation Europe is a competence network founded and coordinated by EurA.